An acrylic polymer based bonding agent from selected synthetic copolymers to meet various application needs. 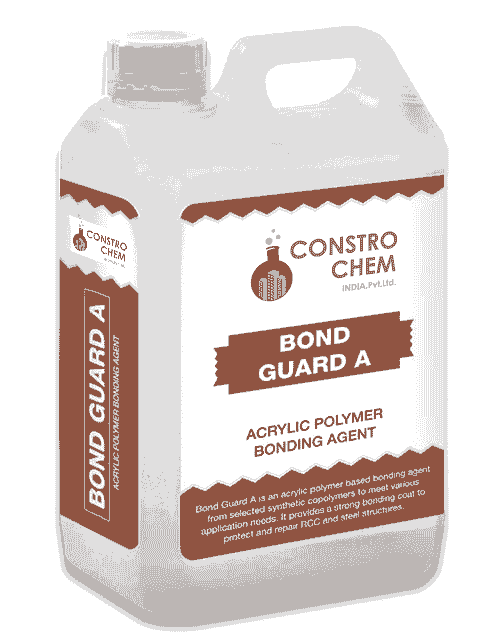 It provides a strong bonding coat to protect and repair RCC and steel structures. For concrete repairs – Spalled concrete of floors, columns, beams, chajja, slabs, parapets, etc. Coverage: 1 kg Bond Guard A covers 50-55 sq. ft.